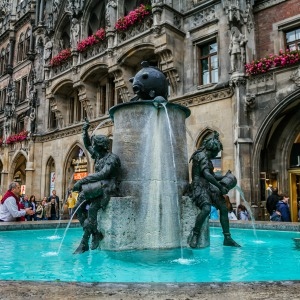 If you’re reading this, you’re probably in the process of planning your Munich itinerary or perhaps wondering if you should visit Munich on your next trip to Europe. The answer is simply YES. Munich is a stunning city with so much to see and experience. The city is one of the most beloved in all of Europe and despite the turmoil it has seen, it has stood strong as one of Europe’s center points for interest and tourism. 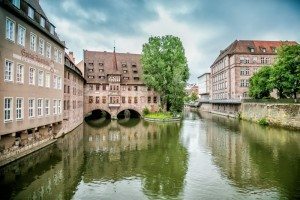 As someone with German heritage, I have spent myself thinking often about a visit to Germany, so our summer plans involving several weeks in Germany has ignited an inspiration in me to explore the stomping grounds of my ancestors and learn more about the history of a nation that has created so many waves in society. 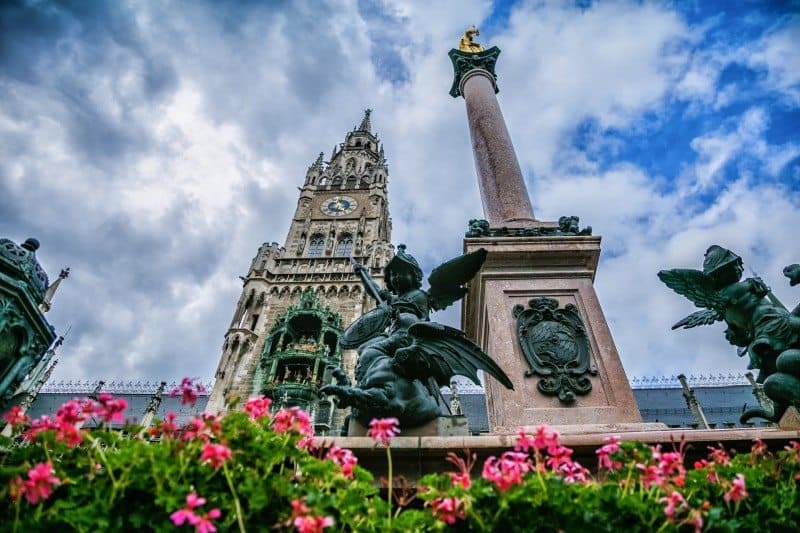 I will be blunt in saying you need a week or more to really see Munich, but time is short and there is so much to see in the World, so we’re going to work with the typical visit time of 4 days. Our mission is to give you a big enough taste to whet your appetite and leave your memories of Munich as magic. Not just a Munich City guide but and actual layout based on our own experiences in the city. Today is your first full day in Munich and it’s time for you to get acquainted with the city. While Munich may be one of Europe’s big cities, you’ll find the main area of the city is surprisingly small and easy to navigate. We spent 3 weeks in Germany: Check out our Germany articles! 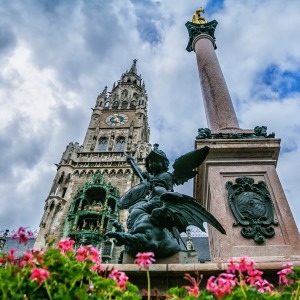 Grab yourself a hearty breakfast at your hotel in the morning before heading off to the Marienplatz main square to join up with the Free Walking Tour of Munich by Sandemans NewEurope. Many people that we talk to are wary of joining up with these types of tours because they don’t understand how they work. The tours are literally free of charge. They usually last 2-2.5 hours and take you to the most popular areas of the city by a knowledgeable and cheery guide. You’ll learn some of the history of the city, a bit about the Nazi Occupation and some pretty great stories about the people that lived in and built up Munich. While you are under no obligation to do so, the guides work for tips, so at the end of the tour you just tip the guide and go along your way. We have found this is the single best way to acquaint yourself with a new city on your first day and highly recommend looking into the free walking tours in every European city. 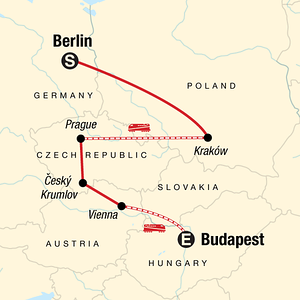 Related Article: Best free walking tour in Budapest. 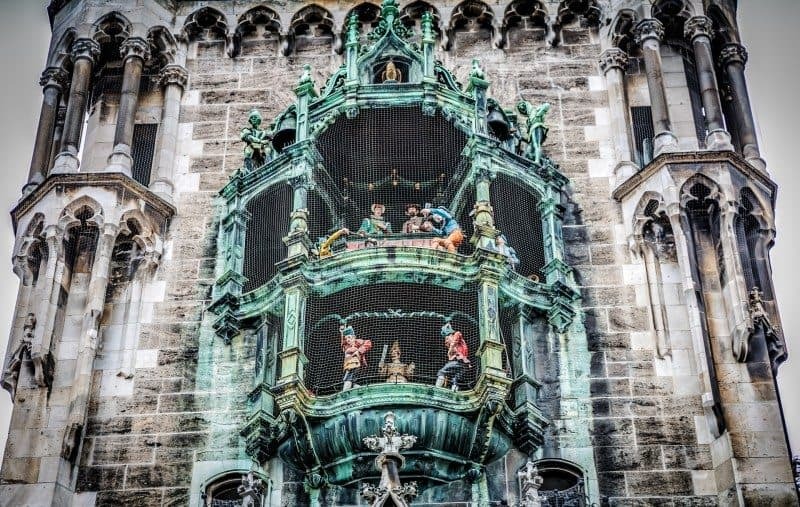 Your tour should end back at Marienplatz just in time to catch the 12pm showing of the famous Glockenspiel. Part of the second reconstruction of the new Town Hall, this Rathaus-Glockenspiel dates back to 1908 and performs every day at 11am. During the summer, it also performs at 12pm and 5pm. Lasting 12-15 minutes, it is a beautiful feat of old-time entertainment and a depiction of a royal wedding. The square will be packed during the performance so be mindful of your belongings as it’s prime time for the pick pockets. If you joined the first free walking tour around 10am, then you will be done around 12:30pm. Grab some lunch at one of the World’s most famous beer halls, the Hofbräuhaus. 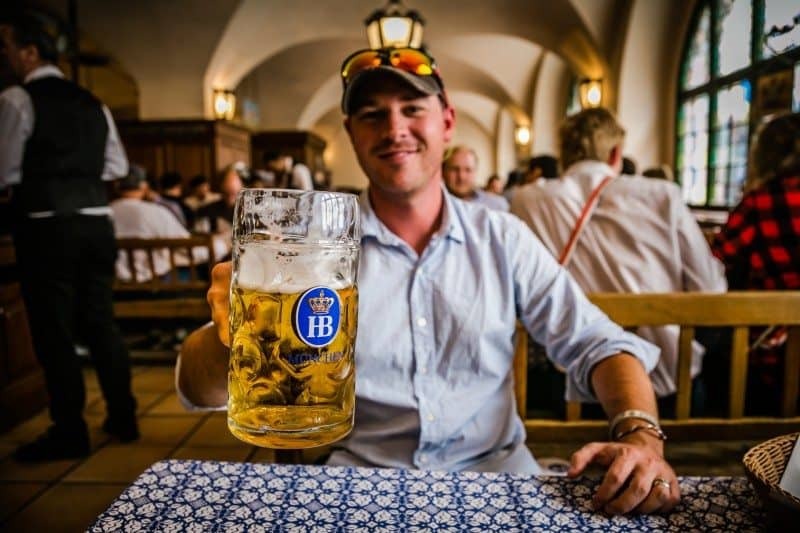 Serving typical German fare and liter sized beer steins of their own brew, this place is all about the atmosphere as lederhosen clad staff sling beer steins across tables and sweet smiling ladies carry around baskets of freshly backed pretzels. Just remember not to have too many liters at lunch, you have a city to see! This church is located slightly off the main square and has an interesting story regarding the building of the church. Back in the day, building a church of this size would take many years. Think, 80 years or more, so you can imagine the surprise of the people when this particular church was completed in just 20 years. Legend has it that the devil himself assisted in the building of the church, giving the reason as to why it was completed so fast. He ordered a church to be built with no windows, so that he could enter the house of God and spread his vile teachings while being obstructed from the light of day. Now, the builders were clever and constructed the back of the church without windows, so when the devil would enter, he would think the church was built without windows. Much to his surprise, the day it was finished he decided to take a stroll to the front of the church where he discovered massive windows letting in the light from the heavens. 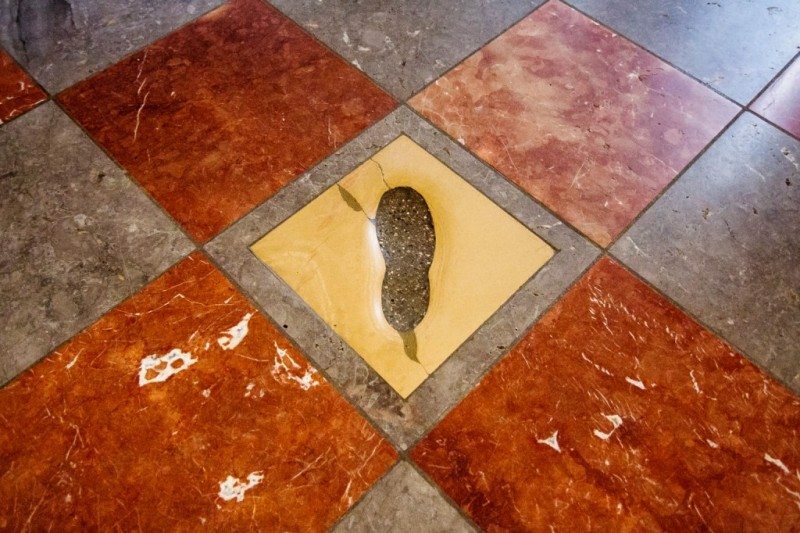 In a fit of rage he stamped his foot and disappeared leaving a large footprint in the back of the church. Whether you believe the story or not, it’s worth a visit to to place your foot in the print of the devil. After you’ve compared shoe size with the devil, head over to the St Peters Church, poke your head inside and then step out the back and climb the tower. If you want to enjoy a view of the entire city center from the tower you must climb no less than 299 steps. Once you reach the top, the panoramic view of Munich’s center makes up for the effort. When the weather is very good you may even catch a glimpse of the Alps in the distance. There is an entrance fee for the observation deck of 2 euro per person and it is worth it to spend a little loose change for the telescopes that allow many an interesting detailed look at the Old Town once you reach the top. 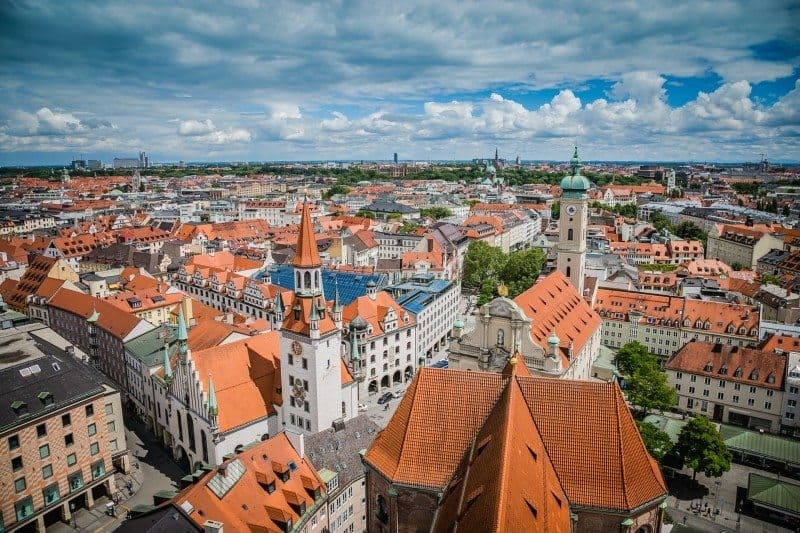 Now that you’ve had a taste for some of the old city, take a journey into history to learn more about the people that have lived and occupied Munich. Our Munich itinerary takes you first to the outskirts and then back to the city center. Try to start your day early today by getting to breakfast at your hotel right when it starts. Then head outside and grab the local tram for a journey to the Nymphenburg Palace that is just outside the city center. If you time it right, you will arrive right when the palace opens and you will have the place almost to yourself having beat the tour buses. I recommend buying the ticket that gives you access to everything on offer, although if your budget is tight or you are short on time, then I wouldn’t miss the main museum exhibits and the stable. No matter which ticket you buy, head straight into the main museum to get a good head start on the crowds. This should afford you an almost undisturbed visit. Just as you make your way towards the stable, you’ll see the buses arrive and can smile enjoying the stable alone as well. The gardens can be visited without a ticket and are worth a stroll. After your visit, hop back on the tram and head back towards the city center. If the history of the Nazi occupation and rise interests you, then we can recommend that you take a Third Reich walking tour in the afternoon. Just make sure that it ends before 4pm so you have time to head over to the Royal Residenz. 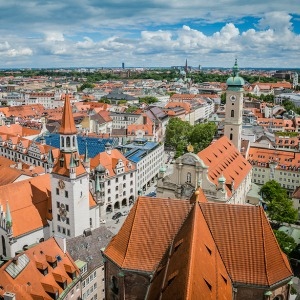 Viator offers a great tour, 3-Hour Third Reich Walking Tour in Munich. The secret to visiting this beautiful museum is to arrive late in the day. Most of the tour groups will have left and there will be very few people wandering inside the museum. You won’t be able to take too much time, but if you arrive at 4pm, you’ll have 2 full hours to walk the museum before it closes during summer hours. We are not lying when we tell you that you’ll have the place to yourself with the exception of the odd audio guide listener. Walking the hallways without tour groups is an almost haunting experience and something you will experience very few times in your life. Getting there late in the day is crucial if you want this experience. Be sure to buy the full ticket that gives you access to the main museum and the theater. Rest your weary feet after a day of exploring in the underbelly of the city. Located underneath the Marienplatz town hall, in the old beer cellars, is the delightful traditional German beer house and restaurant of Ratskeller. Wolwürst that comes with mashed potato salad and kraut. Start with a small beer because you may not get all the food and drink in your belly otherwise! As absolute must on your Munich itinerary. You’ve spent 2 days in Munich and only scratched the surface yet it’s imperative that you visit some of the sites on the outskirts as well. After your morning coffee, hop back on the local transport and take the train out to the Dachau Concentration Camp. It is a 30-minute ride and you don’t need a tour to visit. The camp is well signed with easy walking directions from the train stop into the main camp. While this might seem like a disturbing visit for some people, it is incredibly important that you visit a concentration camp to learn about what happened there, how it happened and why it happened. 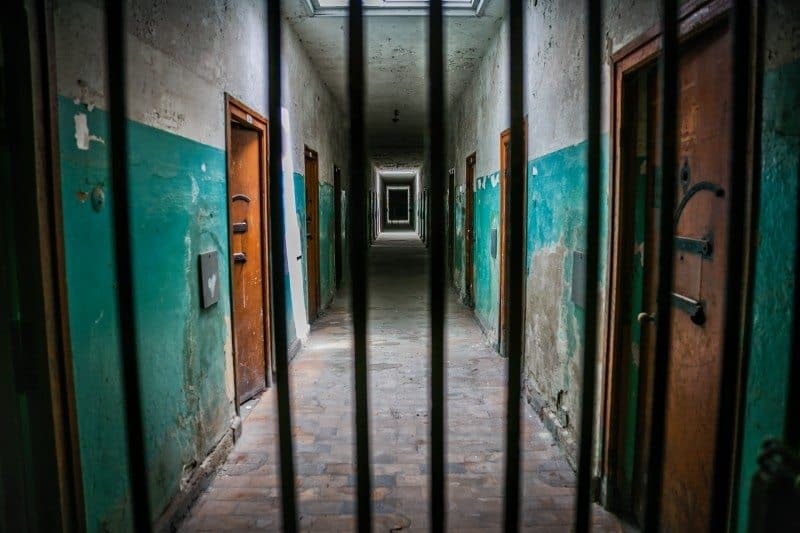 Each building is open and has been made a museum giving you an up close look into the life of the prisoners and guards that occupied Dachau during Nazi Germany. It’s a moving experience and you will need the whole morning for the visit so be sure to arrive right when it opens. After your visit, take the train back to Munich. Private tour of Dachau Concentration Camp. 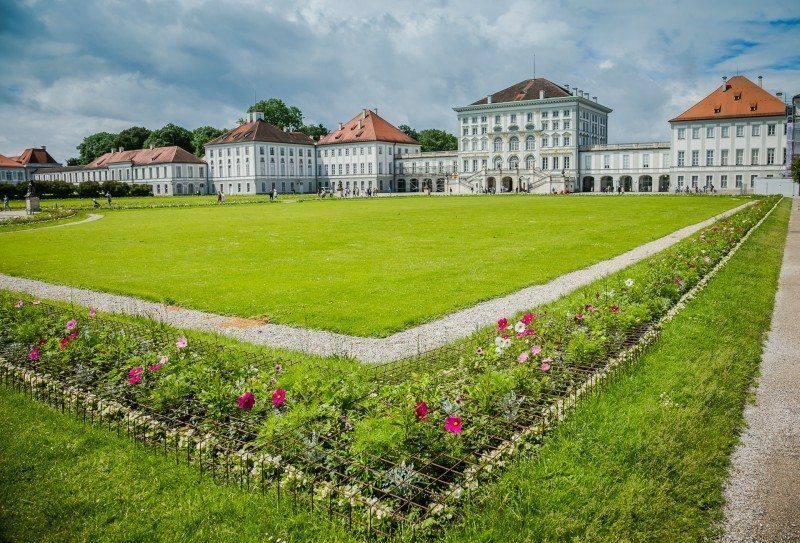 When you return to the city from Dachau, grab a bite to eat and make your way to the English Gardens. This is the best way to follow up such a contemplative visit as the concentration camp and give you some time to process your thoughts. This park is the epitome of nature in a big city and a fabulous way to get away from the hustle in Munich (it’s a very busy city). Be sure to take a few moments to watch the river surfers catch some waves. Yes, skilled and experienced surfers catch waves in the river that flows through the park. Alternatively, you could head over to Olympic Park and the BMW manufacturer for a tour if you are looking for something a bit faster paced. Recommended tour of the English Gardens: Munich 2-Hour Segway Tour: Historic Center and English Garden. Munich is strategically places in South Germany leaving you many options for exploring outside the city. The only downside is that you can’t combine them all in one day. Each takes a day and it can be very time consuming if you get caught up doing day trips outside the city. A solid week will allow you to take a couple day trips and see the heart of Munich. In 4 days, you really only have time for one of two day trips. Just 1.5 hours from Munich you can find yourself at the foothills of the Alps, wandering a tiny Bavarian village with pretzel in hand. The main draw to this area is the fabled castle of Neuschwanstein, built by the mad King Ludwig II and completed in 1886. It was a respite for the withdrawn King and after being removed from the throne, he only spent 11 nights in his beloved castle before he was murdered. Small-Group Neuschwanstein and Linderhof Castle Luxury Coach Day Trip from Munich. The castle is spectacular, set in a mountain setting and it’s hard to visit without conjuring up thoughts of fairy tales and royal musings. There are several places to view the castle from and people wishing to capture great photos should arrive in the early hours to beat the hoards of tourists that visit the castle. 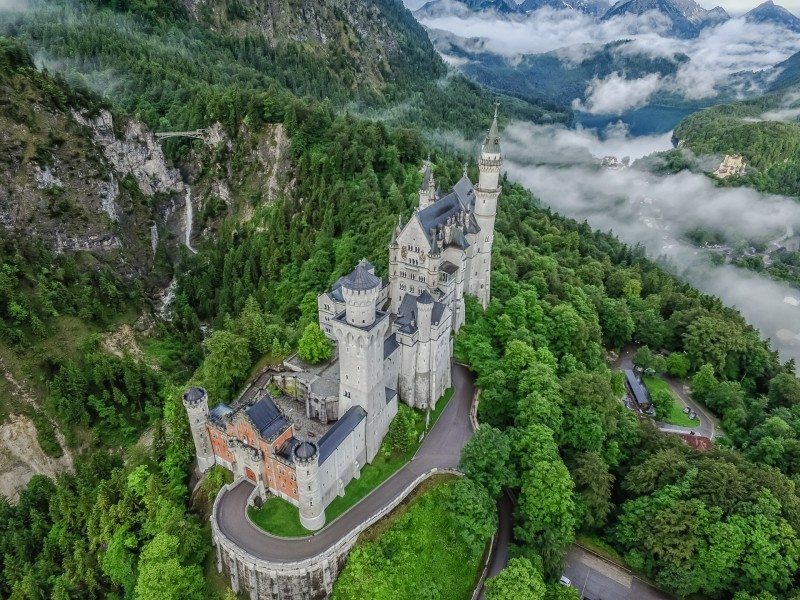 You can visit in one of two ways, take the bus from Munich on your own- it drops you in Hohenschwangau and you then walk up the hill to the castle or take a day tour that will also include a ticket to visit the inside. Unless you are well planned in advance, getting at ticket to visit the inside without a tour or advanced reservation will be nearly impossible in the summer. 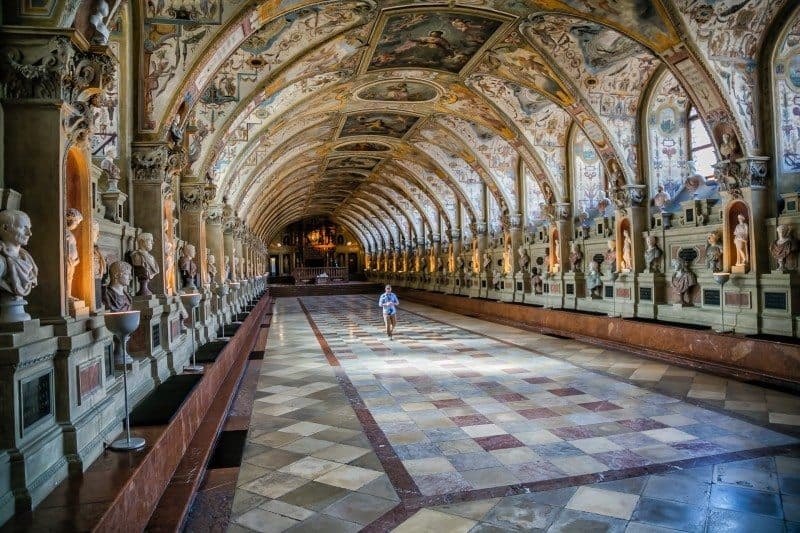 Due to the location of Munich, you have access to some pretty amazing day trips during your visit. You could easily fill a week of travel with visiting the city and the surrounding area. There are so many options that we wrote a dedicated article about the Best Day Trips from Munich highlighting our favorites. Just remember that each one of these will take a full day to experience, so choose wisely and based on your preferences. The only ones that combine are a visit to Dachau and Neuschwanstein on the same day but I personally feel Dachau deserves more time than you will get on a combined trip. 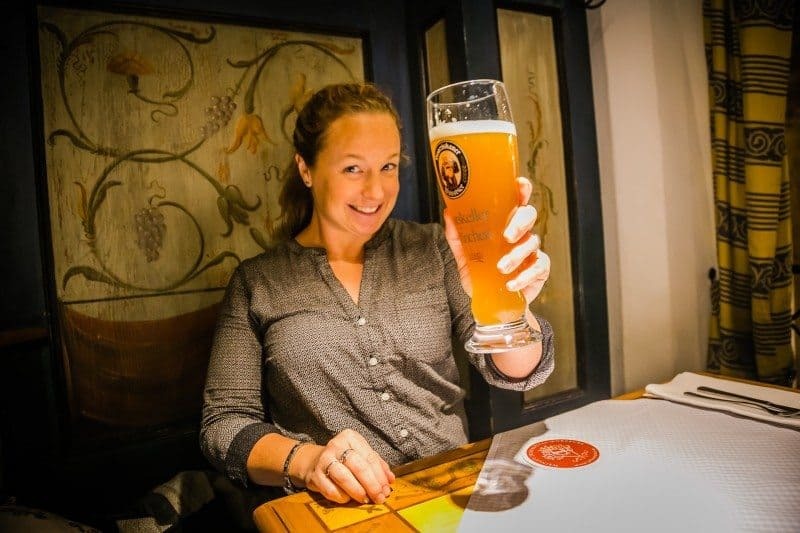 Drink Beer – Seriously, this is why you visit Germany, right? We’re not big drinkers but we enjoyed sitting in the brew houses for the atmosphere. Imagine Bavarian music bouncing around the room from the acoustics while German waiters and waitresses serve you dressed in their best lederhosen. The pretzel seller walks around, you grab a bite and drink down some of Germany’s famous brews. It is all about the atmosphere and must not be missed. 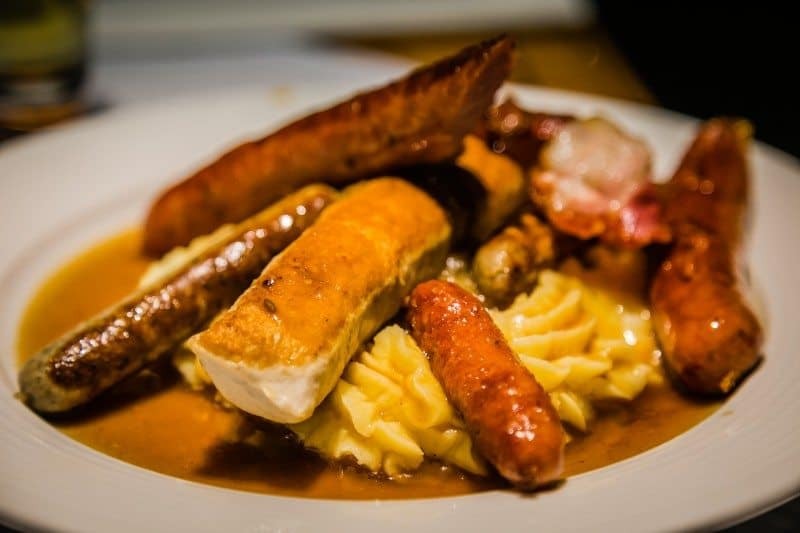 Eat Brats- Drinking beer in Munich should be accompanied by a visit to any of the BratwurstHause’s you can find. Throw your diet to the curb and try all of the sausage delights on offer with a little sauerkraut on the side. They also serve an interesting German potato salad if you can manage to squeeze that into your belly. Attend Oktoberfest- If you’re traveling Munich in the Fall, consider planning your trip around Oktoberfest. Arguably the biggest beer fest in the world, this is a cultural and entertainment event not to be missed. You can even pick up your own lederhosen and join in on the fun. Accommodation- Location is essential to maximize your time in the city. Personally, we prefer to stay near the train station so when we arrive, we can walk a short distance to our hotel and drop our bags. There is a variety of options in the city to suit every budget. We stayed at the comfortable Hotel Jedermann, located within a 5 minute walk of the central Munich train station. The location was outstanding for us with a 10 minute walk to the city center and front door access to the tram and metro. It made exploring the city very easy and the service was impeccable. We had a private double room with bathroom that included breakfast. The breakfast was a huge, beautiful buffet with any options. Transportation- The city is well connected with public transport, so reaching things that are outside the city center are very easy to do. 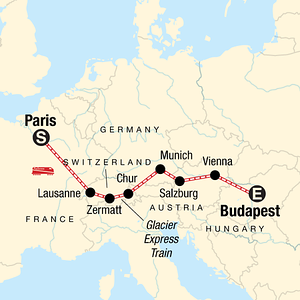 Any of the day trips that I mentioned above can easily be done on your own by using the local train system as well. Alternatively, you can book group tours ad nauseam or even rent a car to explore outside the city. 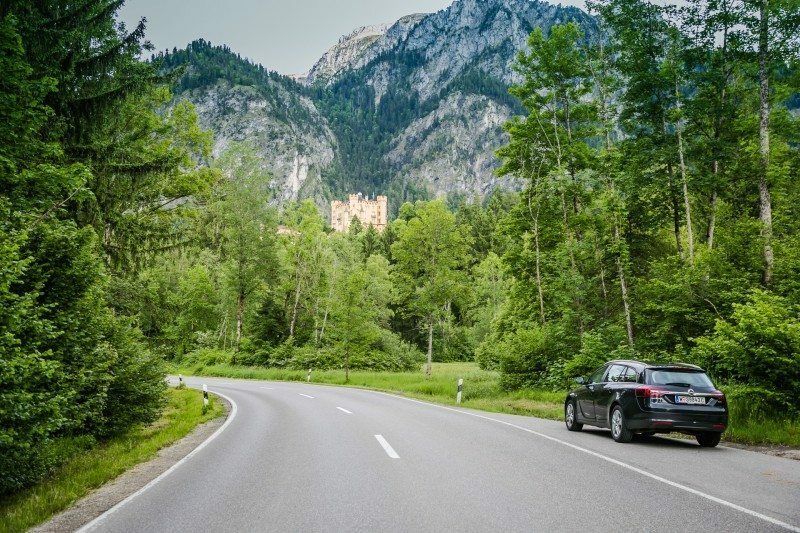 Perhaps Munich can be the start of a German road trip adventure for you? Currency- Germany is on the Euro and you can access the Euro in a number of ways. If you are arriving at the airport, you’ll find a variety of ways to either exchange cash or withdraw from an ATM in local currency. Within the city and at your hotel you will be able to exchange cash but be careful of exchange rates. Ripping off tourists on money exchange is an age old past time around Europe. Don’t sign anything until you have double checked the rate and sure you are getting the right exchange rate. Planning to visit Munich as part of a Germany road trip? Sixt Car Rentals offers competitive rates and the best deals on car rental in all of Europe. We booked our rental car with them starting in Munich and made the journey through Bavaria to Berlin. Travel Insurance for Europe Vacation & Do I Need It? Read reviews and check prices for hotels in Germany with our custom booking site that allows you to search all hotels and compare prices for the best deals on the web. Search for Flights: Priceline or Skyscanner offers great deals to Germany. G Adventures offers 13 multi-day trips through Germany. Simply use this link to book today! Need to book a car for you road trip adventure? Sixt car rental is available in over 105 countries with branches in over 2,200 locations. Travel Insurance: We use Allianz travel insurance and have since our first trip to Mexico in 2003. They’ve been there for us on our adventures – and many friends and readers – multiple times over! If you want to book with Allianz Travel Insurance, simply use this link to get their travel insurance! Can anyone tell me what the weather in Neuschwanstein looks like in late March? Are the trees green or bare? Is it beautiful in this time of year? Is the scenery surrounding Neuschwanstein and other palaces nice at the end of March or is it better to visit them in summer? Thank you so much in advance. I haven’t been to the south of Germany in March, so I can’t say for sure but based on the winter they get I would think you will be too early for spring bloom. Closer to May would probably be better if you are looking for green trees. we will be in munich the week before Christmas to visit some of the Christmas markets. How is the weather this time of year if you know. We want to see some of the castles, but have concerns about road conditions in those areas. Would it be better to just spend 2 nights in Munich and then plan on staying in the other christmas market towns? Hello! I’m looking to book a 4 day trip over New Years Eve as a surprise for my wife. 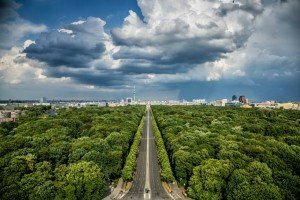 Will attractions and shops/bars still be open to see and would you recommend Munich for new year? Thanks! Hi Ross, that sounds like an amazing surprise for your wife! Munich will be cold then but there are plenty of museums to visit. It seems that Munich has quite the party in the center of town for New Year’s, so I imagine that would be fun to attend. Can’t tell you for sure on restaurants and shops, might be worth inquiring with one of the hotels in the city. Good luck with your planning, you’ll love Munich. Hi! I’ll be in Munich in May! My first time to Germany! So we are in Munich 3 days, one for Munich, one is a day trip to Ludwigs castles, and can’t decide if the third day should be a trip to Nuremberg or Regensburg!? The gingerbread has me leaning towards Nuremberg. Haha. I have been trying to decide this for months! Thanks! Honestly, 1 day in Munich is not enough! I would spent that extra day in the city rather than trying to make a day trip to Nuremberg or Regensberg! Don’t get me wrong, Nuremberg is a great place to visit and we loved it, but it’s a long day trip. No matter what you decide though, you’ll love Germany. Enjoy! Hey. I love your post. I’m planning to go in September for about 2 weeks. I’ll be traveling by myself, and I have penpals all over Germany. I was wondering traveling by train is easier, be a use I’m not able to get a car over there. Do you have any advice for trains/buses and lodging either hostel or Airbnb?? Hi Lindsay, You can easily take the train between cities instead of driving. They also have a great bus network if you prefer that. In terms of lodging, both of those are great options so it really depends on your budget! We use both when we travel. enjoy Germany, it’s a fantastic place to visit. Very nice post. My wife and I will be there in March for 11 nights. As we will be taking at least 5 day trips is it best to buy train tickets a day at a time or is there a better option? Any other suggestions for day trips as we will have plenty of time? Hi Tony! In March you should be fine purchasing your tickets the day before or same day as travel. As far as purchasing them all at once or one at a time, that will really depend on your travel schedule. We typically buy them one at a time so that if we end up somewhere we love, we can stay longer or the opposite, if we get bored, can move on sooner than we originally planned. There is one day trip that we thought would be interesting, a trip to the Eagle’s Nest, Hitler’s hideout in the mountains. We didn’t have the time for it on the last visit, but thought it would be a good one! Might want to look into it, not sure if it will be an option in March, will depend on how much snow they have. Cheers and enjoy! Excellent! You’ll love Munich, if you have any questions don’t hesitate to ask. Cheers! Your photos are stunning! They give Munich’s beauty justice. Headed there in two weeks to visit family, can’t wait! Thank you!! I tried really hard to capture Munich in that light and it wasn’t easy! We had so much rain during our visit, I’m wishing better weather for you. 🙂 You’ll love Munich. Beautiful pictures. Always wanted to go Germany. 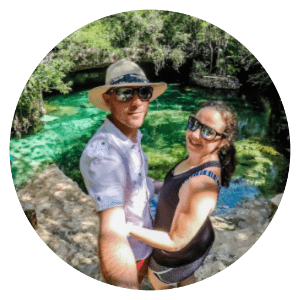 We are David & Lina Stock, a married couple from NW Wisconsin who have been traveling together since 2001. We’ve visited nearly 100 countries on all 7 continents. You can learn more about us here. ENTER YOUR EMAIL TO GET OUR BEST TRAVEL ADVICE.